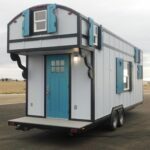 With its curved roof and rusted metal accent pieces, the 20-foot Pioneer tiny house by Tiny Idahomes has a rustic gypsy caravan charm. 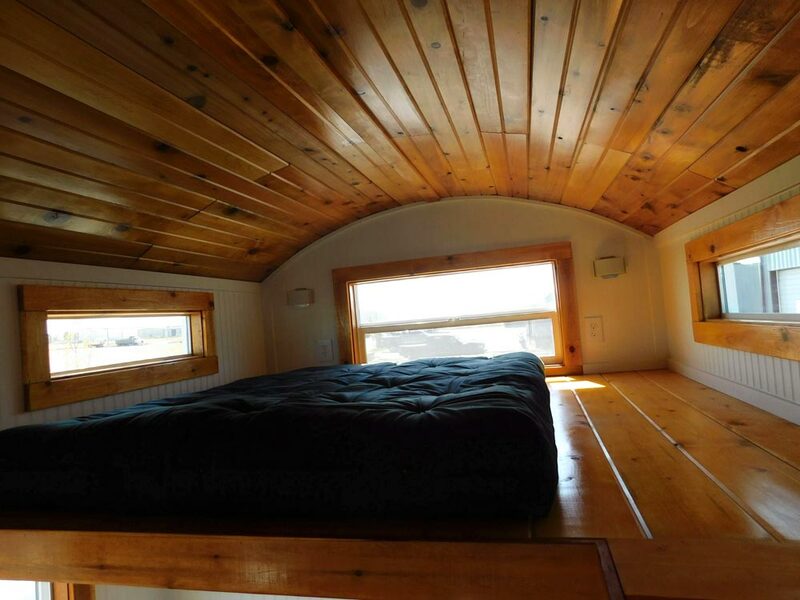 Inside the Pioneer are white bead board walls, pine ceiling, and pine trim. 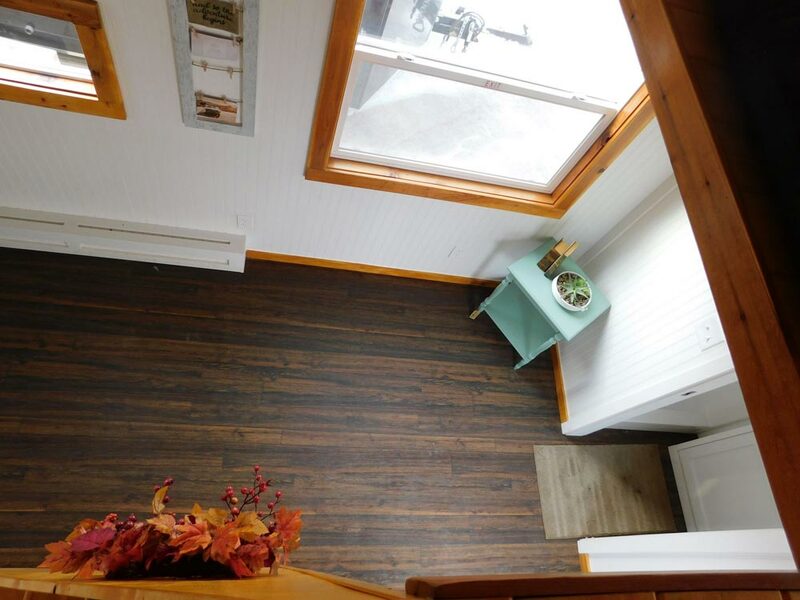 Warm Oak TrafficMaster one piece vinyl flooring was used throughout the house. 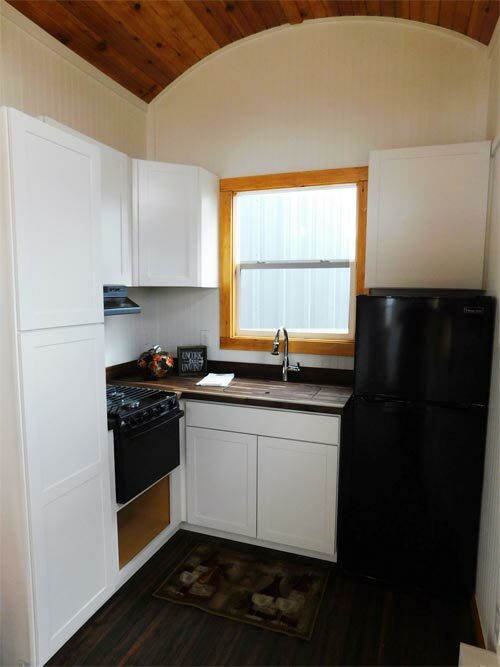 The kitchen features white Arcadia cabinets, butcher block countertops, an apartment style refrigerator, a stainless steel undermount sink, and a tall pantry cabinet. 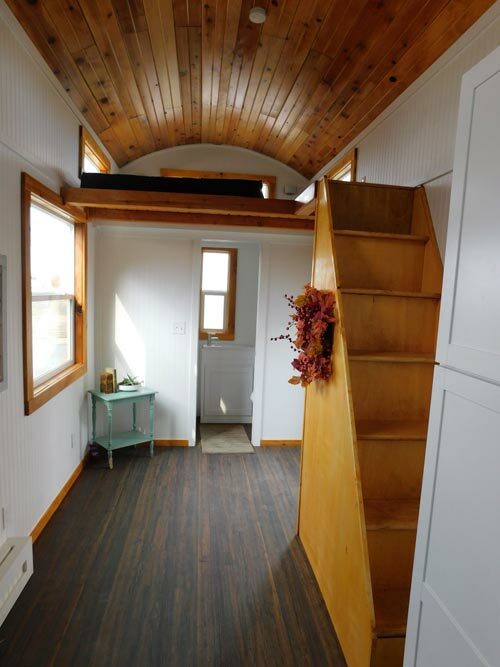 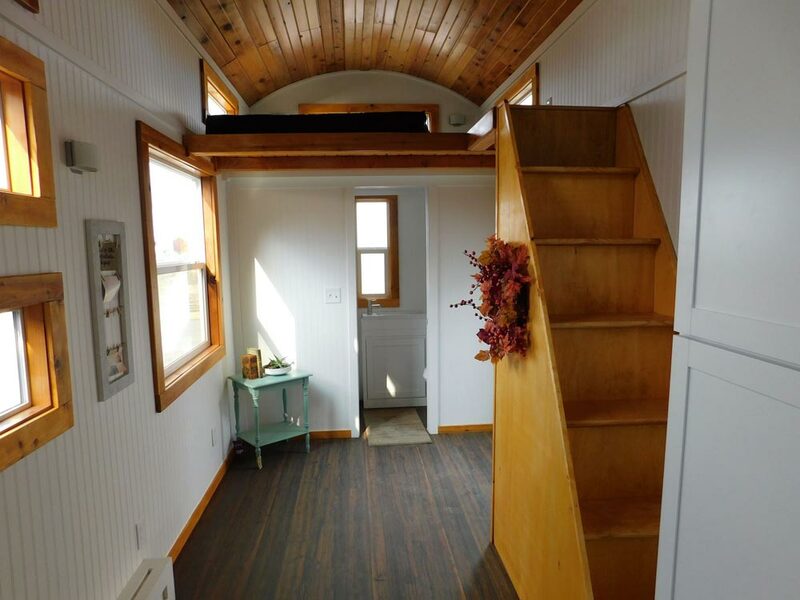 Storage stairs with closet built in lead up to the 7-foot sleeping loft with pine floor. 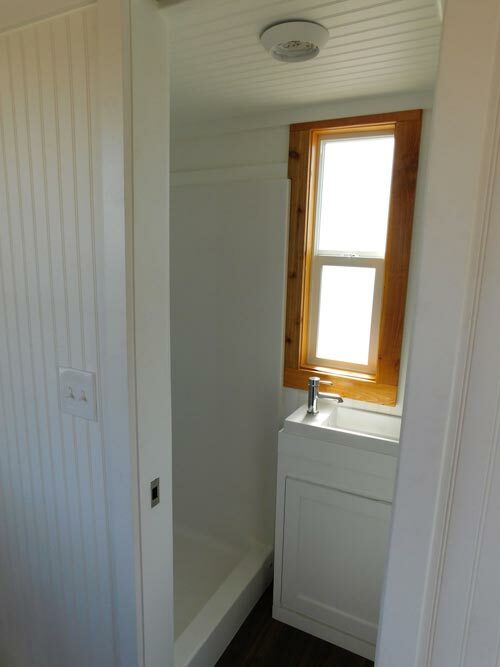 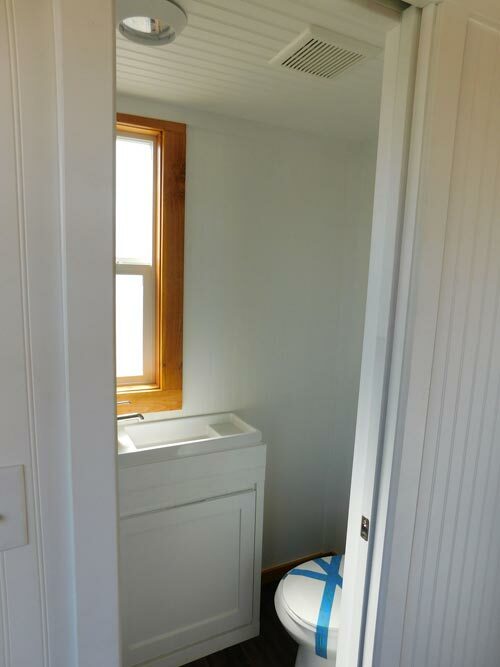 The bathroom is located under the loft and includes a 36″ one piece shower, small bathroom sink, and flush porcelain toilet. 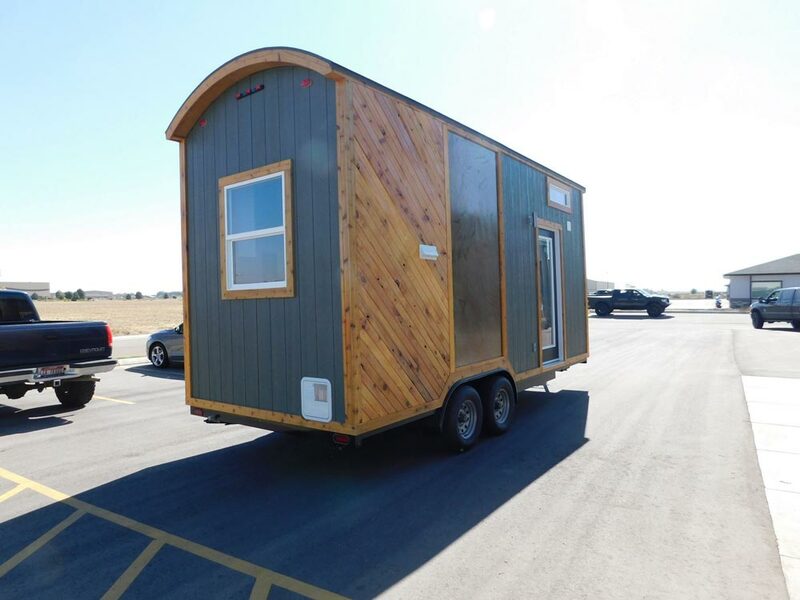 The Pioneer was listed for $37,500. 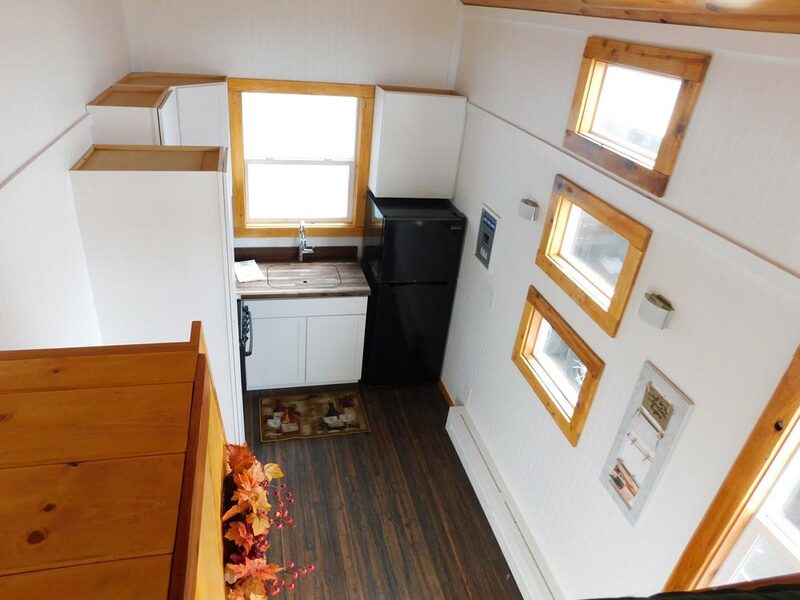 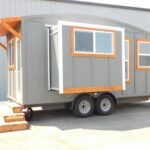 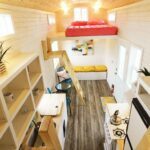 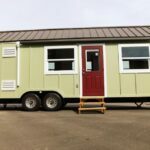 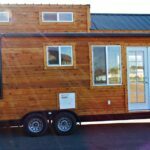 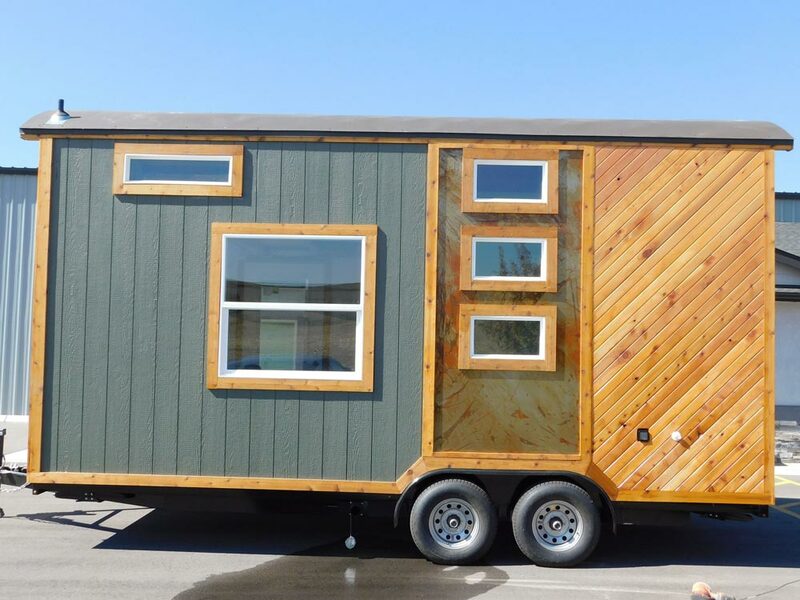 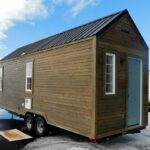 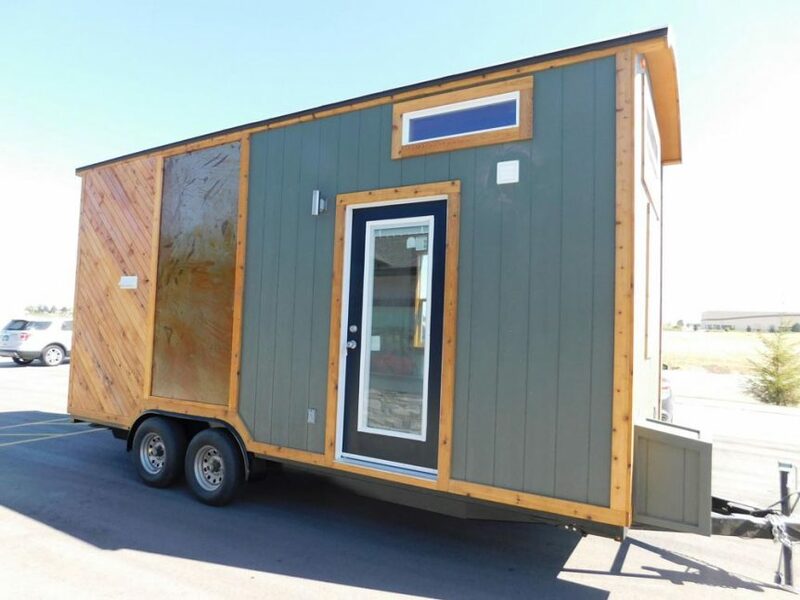 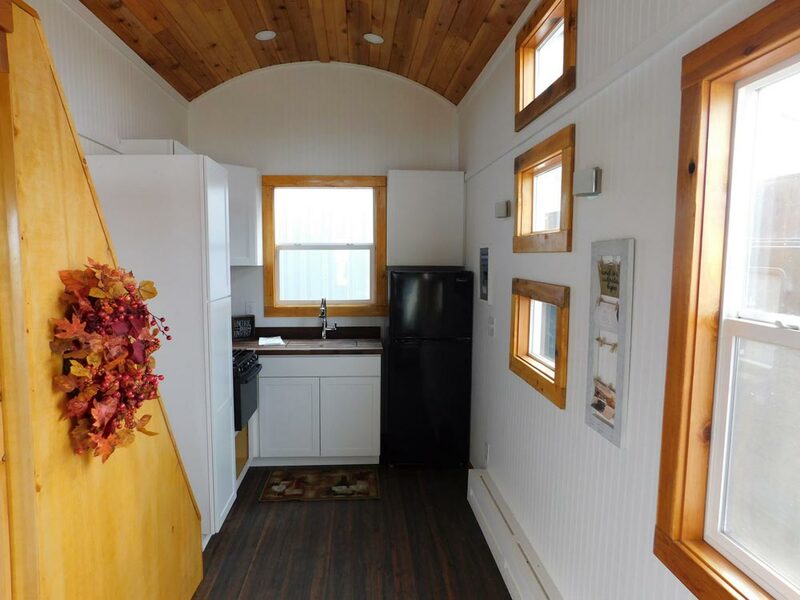 For more information, you can contact Tiny Idahomes.